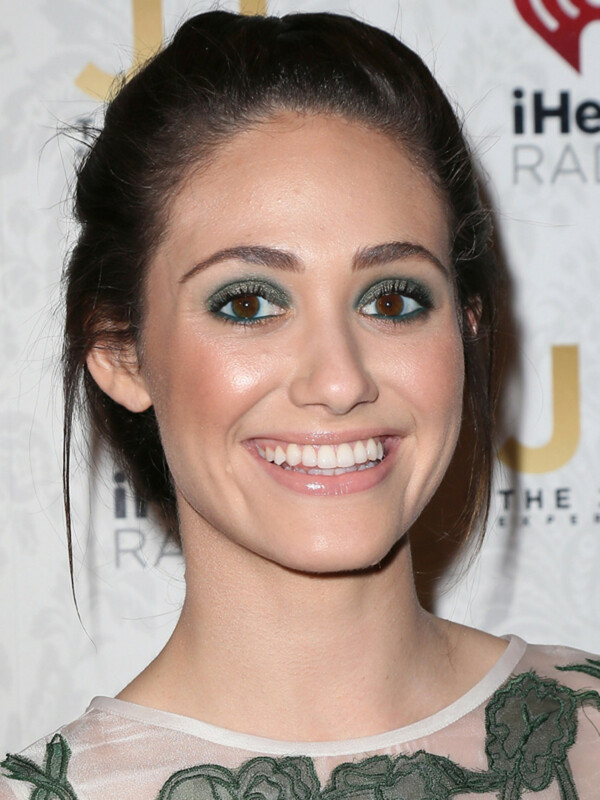 Can You Spot Emmy Rossum's Makeup Mistake? Not that I&apos;m advocating the eyeshadow, mind you. I can&apos;t quite put my finger on what&apos;s not working with this execution of a smoky green eye (which is also super matchy-matchy with the green dress), but I&apos;m not loving it. If I were Emmy Rossum, I&apos;d be sticking with just the eyeliner in the lower waterlines. Well, maybe. Have you detected my issue yet? Here&apos;s another pic. Figured out what I&apos;m talking about? Yikes! This girl is an ophthalmologist&apos;s worst nightmare. The eyeliner in her lower waterlines is leaking into her eyes—and staining her contact lenses! It&apos;s never a good look when the whites of your eyes are gradually turning emerald green over the course of the night. Although it&apos;s never happened to me (at least not that I know of), this issue is unique to us contact lens wearers. 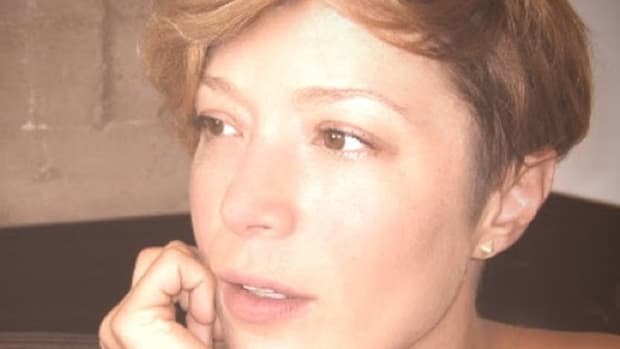 Without them, the makeup that&apos;s bleeding into her eyes would gradually "wash away" with her tears as she blinked, since that&apos;s the body&apos;s natural way of self-cleaning. (Not that it&apos;s ideal to get makeup in your eyes at any time!) But with lenses in, the colour just sticks to them... and that&apos;s how you end up with the problem we see here, where the green has collected around the pupils. 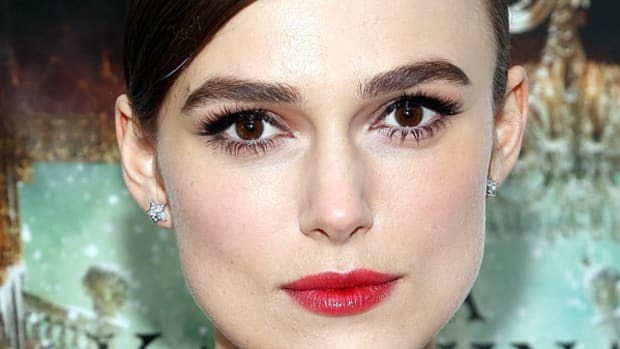 Even worse, makeup can stain lenses permanently—there&apos;s a good chance you might not be able to get the colour out with your cleaning solution. Plus, it could bring with it yucky bacteria and debris that can build up on the lenses and cause irritation and/or eye infections. Gross! Invest in daily disposable lenses. 1-Day Acuvue Moist for Astigmatism, approx. $2.00 per day before rebates; visit acuvue.ca or talk to your eye care professional. I can&apos;t say enough good things about these bad boys! Daily disposables are perfect if you like to wear a lot of eye makeup because even if you get a bit crazy with your eyeliner like Emmy here, you just toss &apos;em at the end of the day! Problem solved. They&apos;re actually the healthiest lens choice (if you can wear them), because the fresher your lenses, the less chance you have of them picking up nasty stuff that could interfere with your eye health. The people at Acuvue gave me some semi-shocking factoids: half of contact lens wearers don&apos;t wash their hands before inserting them in the morning or removing them at night, and 46 percent re-use the same solution. Ick! With a daily disposable, at least you&apos;re minimizing some of the risk. And BIG NEWS: now Acuvue makes daily disposables for people with astigmatism (which is me!). Previously, we were always left out of this disposable contact lens action—but not now. The company sent me a few packs to try, and now I&apos;m a total convert. They feel as comfortable as normal lenses and give you UV protection—and it&apos;s a complete revelation to not have to mess around with solution all the time. They&apos;re especially convenient for travelling. Clear Care is the best solution. 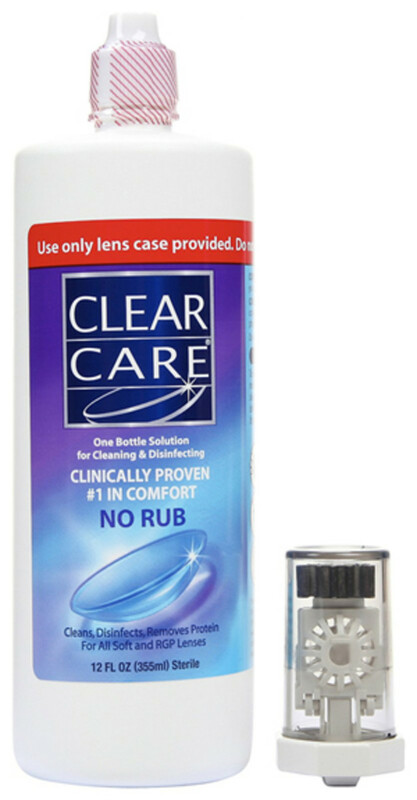 Clear Care One Bottle Solution for Cleaning & Disinfecting, $14.79; click here to learn more and purchase. Word of warning: make sure to wait six hours before re-inserting your lenses. The first time I used this, I didn&apos;t read the label properly and inserted them too soon, therefore burning my eyes with the fire of 1,000 suns. Don&apos;t let this happen to you! And never use this solution to rinse—it&apos;s for cleaning only. Save lining the waterlines for special occasions. You know this already, I hope. 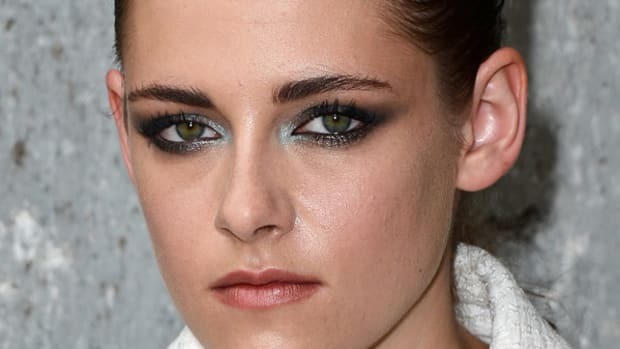 Even though it&apos;s a cool look (probably cooler if you skip Emmy Rossum-style green shadow to go with), it&apos;s really not something you should be subjecting your eyes to on the daily. Eye doctors will tell you to never do it, but I&apos;m going to be realistic here. We&apos;re going to. Let&apos;s just save it for, say, a once-a-week Friday night look instead of making it part of your regular morning makeup routine. Use a soft, waterproof eyeliner pencil. 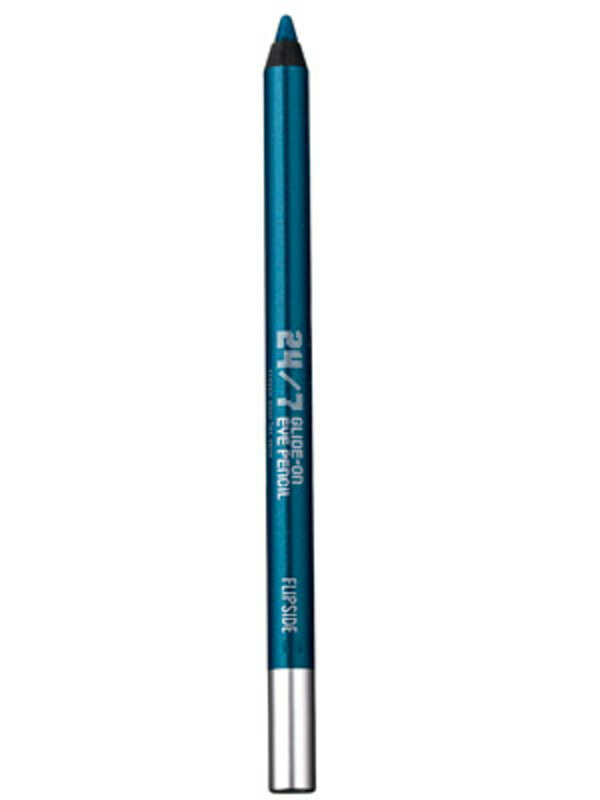 Urban Decay 24/7 Glide-On Eye Pencil, $23.00; click here to learn more and purchase. 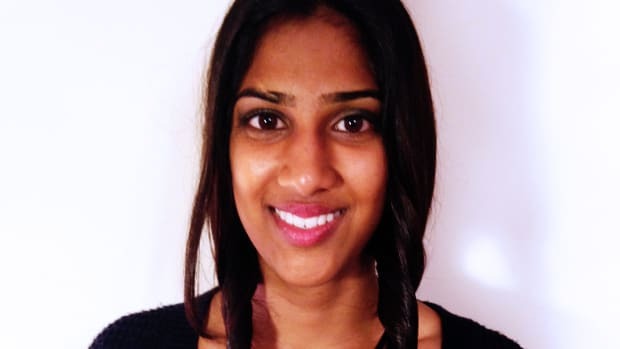 Specifically, you want a soft, almost kajal-style pencil that&apos;s not going to tug or irritate that highly sensitive area. My fave is Urban Decay&apos;s, which is also waterproof. I think the waterproofing is key, because that also makes it less likely to leak into your eyes. Make sure it&apos;s freshly sharpened each time you use it on the waterlines, to get rid of any bacteria on it. I&apos;ve heard of some people using liquids on the waterlines, which looks like it could&apos;ve been what happened to our friend Emmy. While you won&apos;t get the tugging, that&apos;s a majorly leak-prone technique so I&apos;d advise against it. And powders—which some peeps apply with a brush on top of their liner to set it—can also be messy, get into your eyes and irritate. 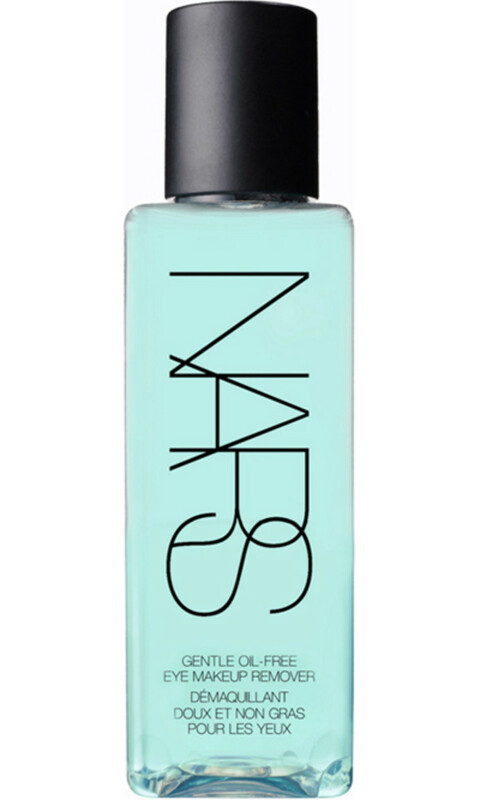 NARS Gentle Oil-Free Eye Makeup Remover, $28.00; click here to learn more and purchase. Ever used one when you have your contact lenses in? Yeah, the oil gets all over your lenses and makes your vision all blurry. Some solutions don&apos;t ever get it off, either, so you&apos;re left with this weird film over your lenses until you replace them. I say: either take your lenses out first, or (even simpler), opt for an oil-free version like this one from NARS. You might not think it could get off waterproof makeup without oil, but read the reviews—it does! Did you spot Emmy&apos;s makeup mistake? Are you a contact lens wearer—and has this ever happened to you? Do you line your waterlines, and if so what do you use?